Well, more heresy and betrayal, as I present the second drawing of a member of the Ghostbusters (2016) cast: Dr. Erin Gilbert, as portrayed by Kristin Wiig. I'd say I'm tentatively anticipating it--I know some people turned into frickin' werewolves over the reboot aspect, and I do share some of the disappointment in how badly Reitman and Aykroyd were treated early in the process, but ultimately, since it isn't set in the same timeline as the original movies, if it's terrible it doesn't affect the characters I already love one bit. 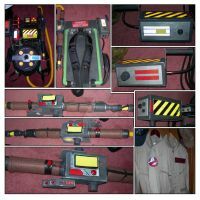 I really will commit "heresy" here and say based on the deficiencies of GB2 and what we know of the various GB3 rumblings over the years, I may very well enjoy it more than an actual sequel where my favorite original Ghostbuster would be dead and my second favorite would have a grudging cameo at best. 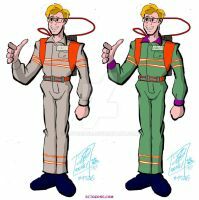 The main way I see it, all the new products, collectibles, etc with the GB branding, both based on '84/'89 and the new 2016 stuff, wouldn't be made if this movie wasn't being made. Very nice! You did a great job on her.